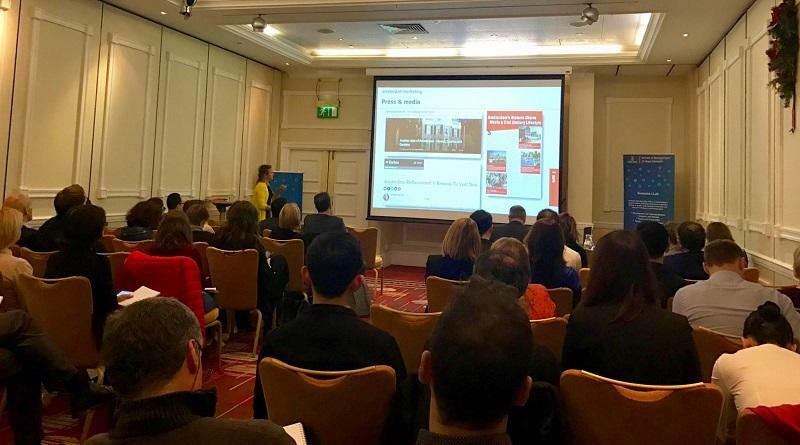 Aleks Vladimirov shares his thoughts and reflections on the recent conference by the International Place Branding Association in Swansea, Wales. From the 5th to the 7th of December 2017, Swansea welcomed members from practice and academia to share, discuss and debate the state of current knowledge in place branding. The Place Brand Observer gave me the opportunity to participate in the conference as a Special Observer, made possible thanks to the generous support of IPBA. My task was to listen to the presentations and to share some of the main insights which I personally found particularly interesting. I also had the opportunity to discuss some of the presented papers with two of the keynote speakers, Don Dioko of the Institute for Tourism in Macau (which will host next year’s conference) and Geerte Udo of Amsterdam Marketing. Marc Clement, Dean of the School of Management at Swansea University, opened the conference. He shared the strides the university has made in trying to bring investment to the wider Swansea Bay area, having just signed a city growth deal with the central government in the UK. This was followed by a presentation from the very inspiring Mari Stevens (Director of Marketing, Welsh Government), who shared the journey her team has been on for the last three years of building and executing the “This is Wales” brand strategy. Mari stressed that place branding is a lot more about leadership than about control. In her presentation she illustrated how her team led the branding process of “This is Wales”, and how this led to her latest initiative, the building of the Wales Way: a collection of routes along which to enjoy Wales and see it through the lens of the brand values – Authentic, Creative, Alive. My personal favourite was another project she wants to take off the ground – working with communities to bring colour to buildings, to increase pride among those living in those places, but also to make them attractive to visit. Such initiatives can create emotions that can make the brand image of Wales more memorable, unique and favourable. In my chat with Don Dioko we touched on the topic of how emotions play a part in “burning memories better into our brains”. He was especially interested in how emotive reactions can be captured and measured in research settings where research participants are given time to respond to certain emotive stimuli – measuring “implicit associations”. Back in the conference room, Neoklis Mantas and Alex Deffner presented a paper called “Stigmography: painting with words the image of the Greek city”, which I found great for its abstract perspective and key take-out for practitioners: creating the myths (“mythos”) of the place (“topos”) is too often done through text (“logos”). One of the best campaigns discussed during their presentation was a place in Greece which commissioned local artists to create postcards for visitors to send home – a simple idea, costing the place promotion agency nothing or very little, as artists can be given credit and benefit from promoting their name on those. Maja Jovic (who recently shared her reflections on the City Nation Place Forum in London), Adam Eldridge and Nancy Stevenson presented a paper on “The role of national identity in post-conflict banding”. The key take-out for me was the statement that “tourism is a litmus test about how a place is doing after conflict”, and that place branding can never escape the local, central and peripheral tensions in which it is occurring. Tourism – and especially overtourism (covered at length by The Place Brand Observer’s virtual expert panel, last week’s research insight by Ko Koens, and Gunter Soydanbay’s systemic analysis of overtourism) – was also a key topic of the conference, and of my discussions with Don Dioko and Geerte Udo. Geerte explained how Amsterdam Marketing has been focusing efforts on reducing overcrowding in inner city areas by guiding visitors to destinations around Amsterdam. Amsterdam Marketing’s way of bringing these areas along on the journey with the central regions of Amsterdam is to encourage them to build an offer that attracts local residents and creates a buzz, or “sense of place”, which in turn will attract tourists to come along for the ride. This really resonated with me. Working for a town in the UK (Shrewsbury), I know that media costs to promote the city as tourist destination are often more expensive than investing in your “place product/offer”. Carl Cater, Tiffany Low and Robert Bowen presented on the topic of “Narrating place branding through destination slogans”, having looked at 262 slogans of countries and regions exhibiting at the ITB conference in Berlin. Their thematic analysis found 6 different themes – experiences, authenticity, uniqueness, culture, nature, and emotions. The key research insight here seemed to be a trend towards suggesting emotive connotations, but too much of a me-too non-differentiation across regional and country slogans. I personally found a great parallel with Geerte Udo’s keynote speech on “Iamsterdam”, where she presented her view of the “soul of the city” as lying in a triangle between business, residents and visitors, and the ability of all those to identify with Iamsterdam. She stressed that the triangle analogy is important because if one of the angles of a triangle pulls too much towards its side, the holistic nature of the place brand symbol will be lost. The consequence would be too much reliance on a place economy dominated by tourism, local-only business or isolationism. Erik Braun, Tristan Kik and Sebastian Zenker presented on the topic of “Capturing city brand commonalities across different stakeholder groups”, which links to Geerte’s idea of a commonality. Coming from a consumer marketing background and knowing how difficult it can be to explain the difference between a market segment (defined by certain variables, most often – values, lifestyles and attitudes) and a person (a unique and irreplaceable entity with many complexities), this presentation couldn’t have come at a better time for me. I often find that, when I talk about market segmentation, I am faced with hostility as those I work with feel it is exclusive. However, I have always insisted that market segments identified via attitudes, values, lifestyles and even behaviour can cut across many people – actually serving as a common ground. Sitting in this presentation I felt understood, and encouraged to help practitioners find better ways for verbalising the unifying commonalities between different users of place. As a last key highlight of the conference, Don Dioko’s keynote speech focused on the use of colour in place branding and marketing. In his interactive presentation he made us notice how the TV series Game of Thrones used darker and darker colours from episode to episode, to evoke the desired feelings of impending doom. An interesting takeaway from the research he presented was that initially, increases in colour have been shown to cause increases in perceptions of naturalness, but only up to a saturation point, after which the opposite effect is observed. Don left the audience and myself with a clear message – to stop the tyranny of content and rational considerations when marketing places. I look forward to exploring this topic and others further at the 3rd International Place Branding Association conference in December 2018, which Don will be hosting at the Institute for Tourism Research in Macau. Aleks Vladimirov is the Partnerships Manager at Shrewsbury Business Improvement District and a PhD researcher at the institute of Place Management, Manchester Metropolitan University, UK. Connect with him on LinkedIn. Enjoyed Aleks Vladimirov’s summary and reflection on the 2017 International Place Branding Association conference in Swansea, Wales? Spread the word! You know of a conference which you think will be of interest to place brand professionals, and want to attend it on behalf of The Place Brand Observer? Get in touch!